This is about six years ago now, I was at one of my clinical placements, in a rural Victorian town, the placement was for a month so I had moved into some student housing there with three of my peers who were also doing their placements in the area. It was a tiny town with NOTHING to do, however one of my patients was knitting and I thought hrmmm thats what I’ll do, ill turn all this spare time into making a scarf. 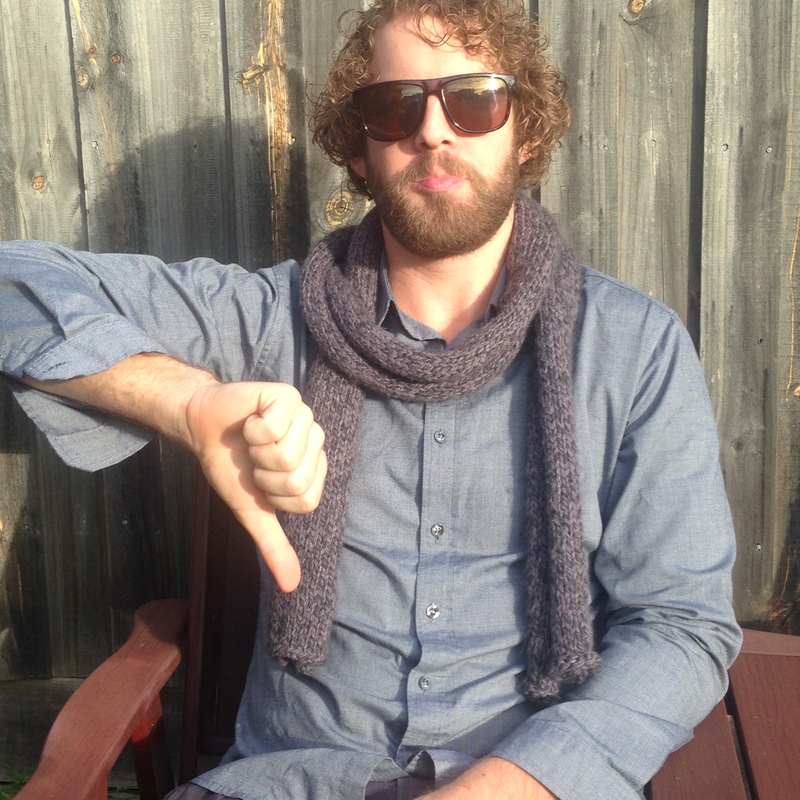 I was a very novice knitter at the time, I think I had knit maybe a couple of (very dodgy) scarves. 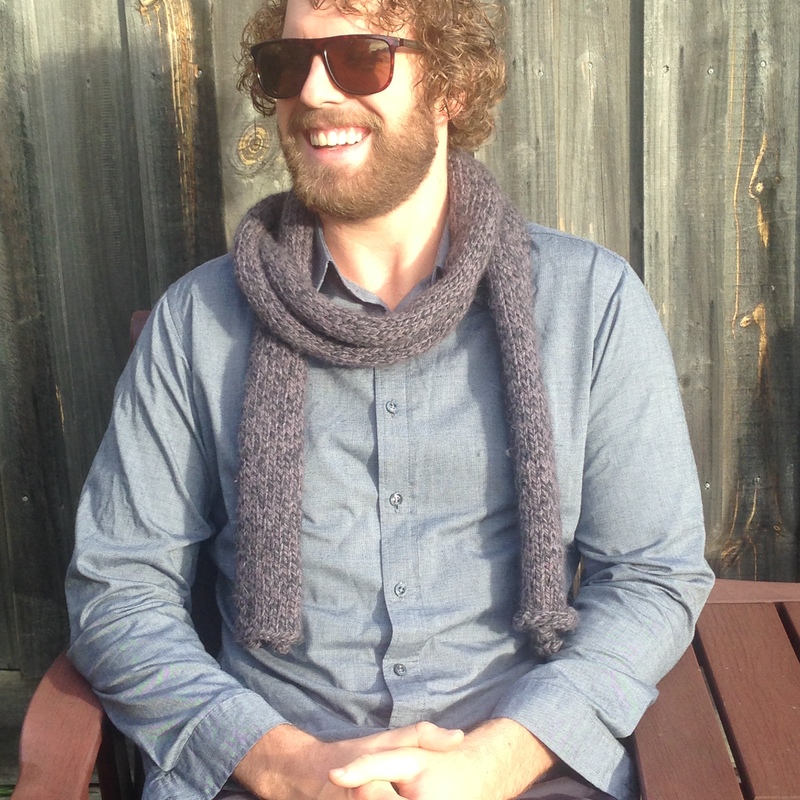 I bought a ton of wool to make my new boyfriend a scarf (ever the selfless knitter – aren’t we all??). Well my friends also decided they wanted to learn too, so it was really the blind leading the blind, but I did actually manage to teach them! 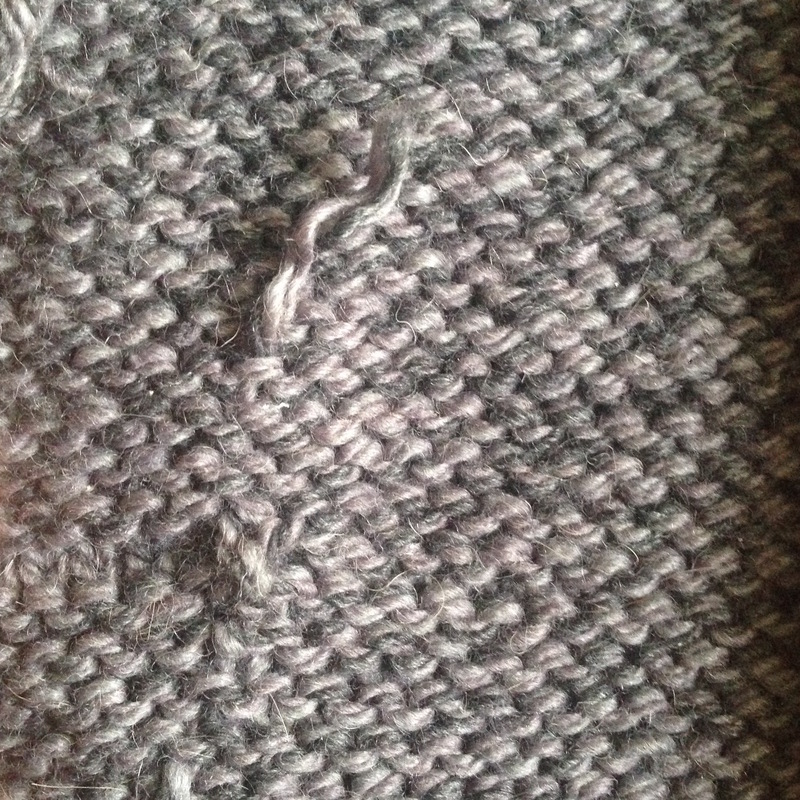 My patient had just showed me the purl stitch, so I was feeling pretty chuffed with my abilities and declared that I was going to make a whole scarf of one row plain one row purl, I didn’t know that was stocking stitch (I didn’t even know that was a thing then). I wanted to make a nice wide scarf to impress my new boyfriend so I made sure I cast on a lot of stitches, it was going to be broad and luxurious. Im sure you are getting where this is going now….. Little did I know I would end up with a flippin’ snake!!!!! As I started knitting, I was thinking ohhh its getting a bit curly, oh thats okay I will just keep going and then maybe it will go away, I kept going, it was getting worse, so I thought, oh thats okay I will just flatten it out and maybe it will go away. Well after about three weeks of intense knitting I had my tube. There was NO WAY I was getting this thing flat and There was NO WAY I was starting again, so I just hoped he would like it, because I hated it. My darling boyfriend, we had been dating for about 3 months at this point (including my month away!) loved it overtly, but hated it internally. Bless him, he wore that scarf so often, every time we would go out, I’d be saying “oh James, don’t forget your scarf” hahaha and the poor bloke had to wear that thing. He hasn’t worn it in about two years now and the other day I finally made my confession. Standing in the bedroom, I was looking at it and said “I actually hate that scarf and I know you hate it too and I cant believe you wore it so much, you must have really liked me” he just laughed and I went on to tell him the story of what it should have been – a beautifully wide (FLAT!) and luxurious scarf – he liked the sound of that. So I want to know – Im thinking of pulling it apart and giving it a new life, but then it wont have that memory anymore…..but it will have the the memory in the yarn itself, what do you all think? I’m leaning towards doing it, any pattern suggestions??? Maybe I should consult him on that one this time around haha! Also does anyone have any funny stories like this one? Im sure you all do, I’d love to hear them! Post them in the comments below! But you will always have this story to go with the scarf, I wouldn’t unravel it. I would start an entirely new one! Noooo don’t unravel! It is something that can make you two laugh and look at each other with a memory from a time long ago. 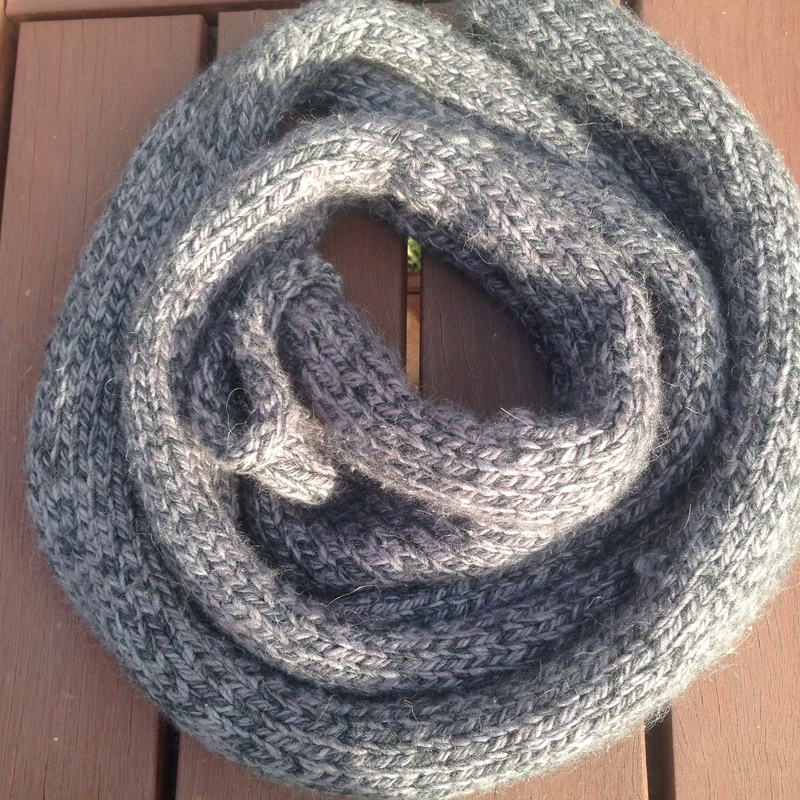 My then-boyfriend/soon-husband has a scarf like this, too – the second thing I knit after I re-learned, out of a hideous blue-greyish acrylic and virgin wool blend. It is ugly and scratchy and he still wore it proudly (or so it looked) until I told him that for next winter, I’ll make him a nicer one. I love your knitting stories. Thanks for sharing this one. Hope you have a lovely weekend! What about putting the ends in properly and then wet blocking it really aggresively to get it flat? That way you feel better about it and you get to keep the memories too! Hi! I loved this story! Both because it is funny, but also because we all have these projects where we think we are the queens of knitting and then reality hits us in the face. It’s just how it goes sometimes! I also think you should keep it, and try wet-blocking it (just washing it by hand with gentle detergent and lightly stretching it out). 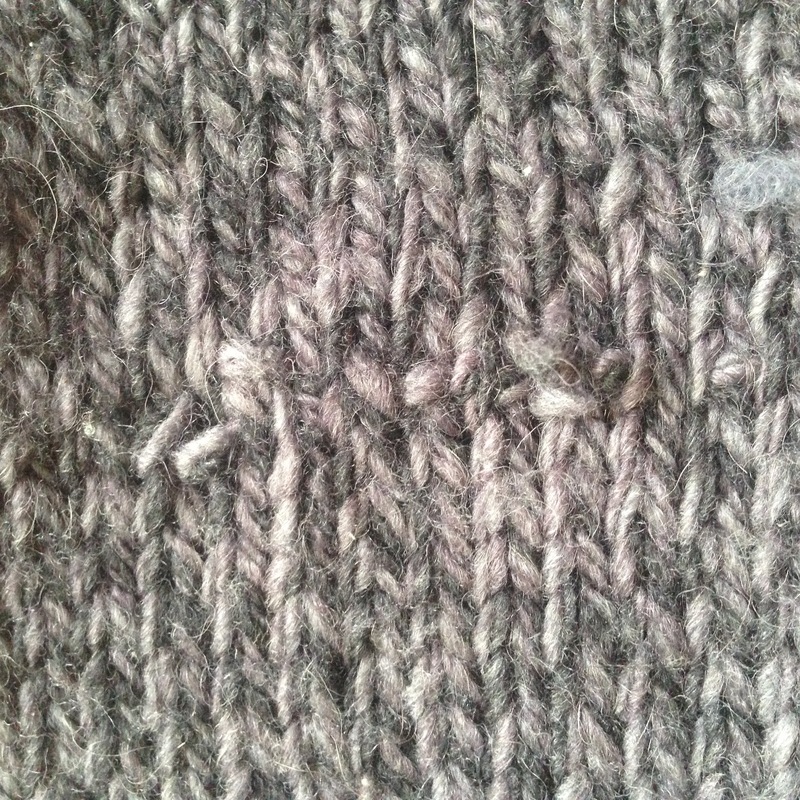 I also wonder, if you pick up the edge stitches and add a border on the long side – like seed stitch – wouldn’t that fix it? I think it might be very satisfying to fix it. But if you’re not up for that, I would just keep it for the memory and make a new one out of fresh new yarn!